Rachelle Rogers, Ed.D., is a member of the graduate faculty and serves as a University Liaison for one of the middle school Professional Development School (PDS) campuses. She supervises candidates in their extensive field experiences, as well as teaches the middle school mathematics methods courses. 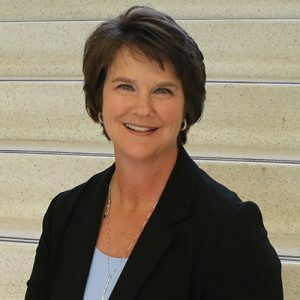 Dr. Rogers' research interests include clinical experiences through web-based case scenarios, lesson study, instruction in mathematics, and action research. Recent publications relate to the integration of literature and mathematics and clinical experiences. She has presented over 40 research papers at national meetings since 2013. Dr. Rogers has also been awarded various grants to support students and teachers in the field of mathematics and was recognized for her participation in a GEAR-UP grant by receiving the 2013 School Science and Mathematics Association Award for Excellence in Integrating Science and Mathematics. Dr. Rogers was recognized for her outstanding teaching as a 2013-2014 Baylor University Fellow. Most recently, Dr. Rogers was awarded Outstanding Faculty in Teaching at Baylor University. As a member of the Association of Teacher Educators (ATE), Dr. Rogers serves many roles: elected member of the Board of Directors, co-chair of the Emerging Scholars initiative, liaison of the Communication and Public Relations Committee, and a member of the Commission on Raising the Profile of the Profession. She has been recognized as a 2017 ATE Clinical Fellow. Dr. Rogers serves as associate editor for the Texas Council of Teacher of Mathematics journal and as Vice-President for Universities and Colleges for the Central Texas Council of Teachers of Mathematics. Dr. Rogers also serves on the Policy and External Relations Committee for the National Association of Professional Development Schools (NAPDS). She also serves as a reviewer for the ATE annual conferences and the National Council of Teachers of Mathematics journal publications. Dr. Rogers co-teaches an adult Sunday school class at her local church and serves on the education committee of St. Paul Lutheran Church.